Given thousand of biomarkers for patients, the webcast will show an efficient way of correlating all genes vs. all genes. The webcast covers Pearson and Spearman correlations implemented in Spark/Hadoop. 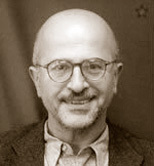 Mahmoud Parsian, Ph.D. in Computer Science, is a practicing software professional with 30 years of experience as a developer, designer, architect, and author. For the past 15 years, he has been involved in Java server-side, databases, MapReduce, and distributed computing.Dr. Parsian is currently with Illumina and leads the "Big Data" team.He is leading and developing scalable regression algorithms, DNA-Seq, RNA-Seq pipelines using Java, MapReduce/Hadoop/HBase/Spark, and open source tools.